My latest pocket letter creation. Denim fabric paper. I used denim and patterned fabric paper for this fun pocket letter. I also made little envelopes, tags and bags out of it for goodies to give to my pal. All the elements like the flowers, hearts butterflies, and such are made from it also. It was a fun letter to make. #MFT stitched flowers and bold stripes cover up dies. I used the stitched flowers dies to cut flowers from hot pink foil paper and then added them atop the bold stripes cover up die I used to cut out the white card stock. I placed it over a black cardstock base and stamped and embossed the sentiment. I cut some circles for the flower centers out of black velvet paper. I glued those on and then decided to add google eyes to the center of those. 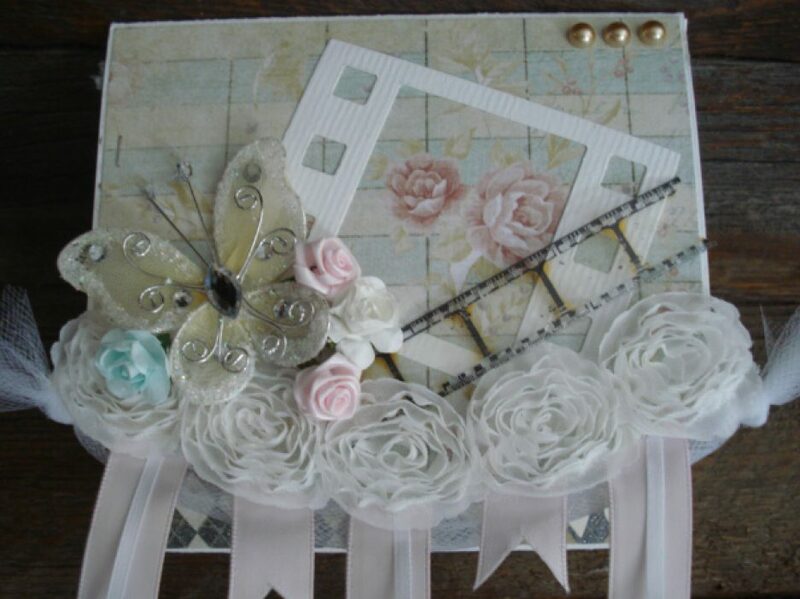 I finished the card off by adding three pink gems onto the top and then tied a black and white bakers twine bow and added it to the center of the flower cluster. I made this card using the Pretty Pink Posh twine and bow die set.